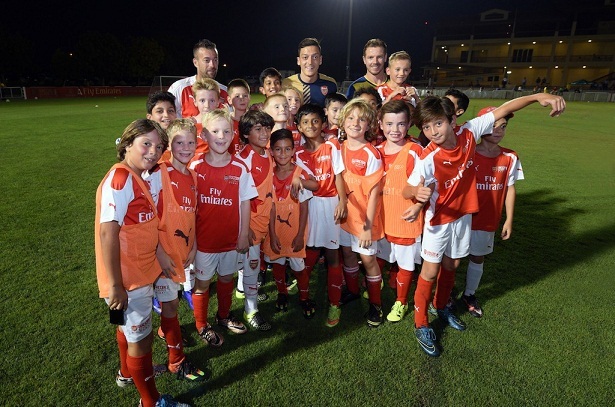 Kids at Arsenal Soccer Schools Dubai (ASSD) were able to shoot for the stars when Arsenal superstar Mesut Özil dropped in for a special lesson on how to “Play the Arsenal Way”. 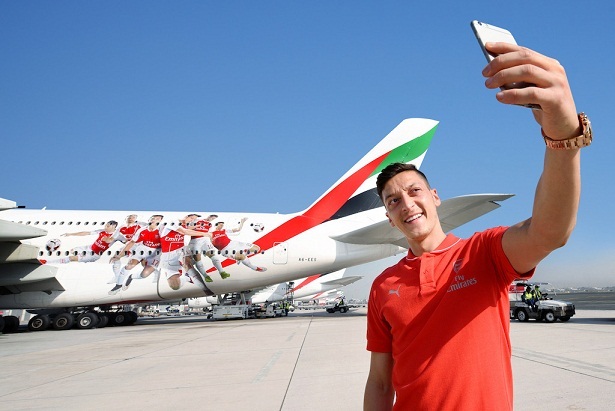 Mesut Özil arrived on the Emirates’ Arsenal A380, which was recently adorned with a decal of the club’s crest as well as six players in action. Acclaimed for his playmaking finesse as an attacking midfielder, Özil imparted his winning tips to the young trainees at 7he Sevens ground, home of ASSD. The Arsenal star spent time on the pitch with up and coming footballers before joining them for special group photos. His enthusiastic followers received specially autographed cards, personally distributed by Özil and he also took questions from local and regional media. Earlier in the day, he arrived on the Emirates’ Arsenal A380, which was recently adorned with a decal of the club’s crest as well as six players in action fronted by Mesut Özil, and flanked by Alexis Sanchez, Aaron Ramsey, Santi Cazorla, Jack Wilshere and Olivier Giroud. Clearly visible on both sides of the aircraft, the entire decal measures more than 360 square metres. With the A380 visiting 40 destinations, fans from all over the world will both be able to fly and see the Emirates’ Arsenal A380. The Arsenal star spent time on the pitch with up and coming footballers before joining them for special group photos. Arsenal Soccer Schools Dubai kicked off in 2009 as a joint venture between Emirates and Arsenal, and is open to boys and girls of all ages and abilities. Each year, more than 1,200 children are taught how to “Play the Arsenal Way”, based on the same principles taught to the first team. 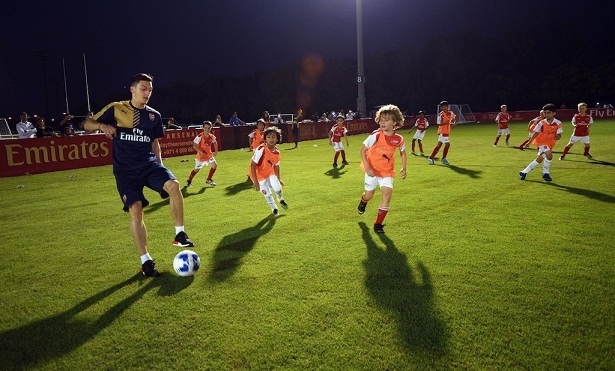 The Arsenal Soccer Schools Dubai training programme is also designed to help aspiring young footballers develop their skills on the pitch, ensuring they have a platform to reach their potential. ASSD is permanently based at 7he Sevens.